The Big Fiddle on Sydney’s Waterfront. 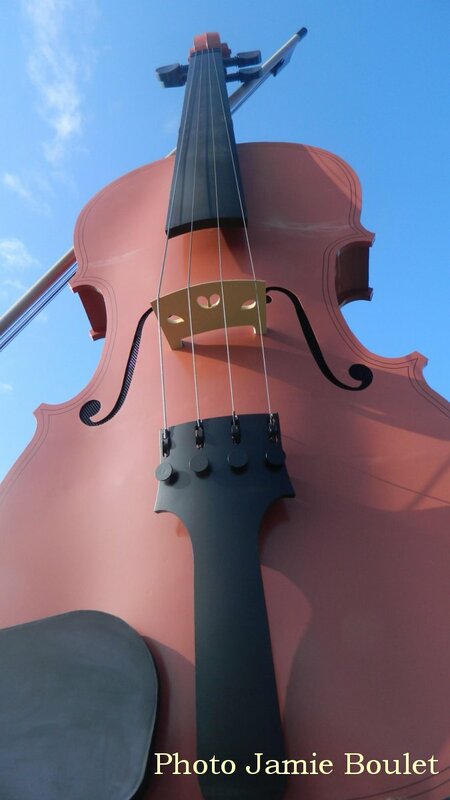 The World’s Largest Fiddle reach 60 feet in height where it greets cruise visitors arriving at the Port of Sydney. Thank you Jamie Boulet for sharing this impressive photo! If you’d like to keep track of the weather conditions in L’Ardoise, located on the southeast shore, check out the Cape Breton Living webcams by clicking on this link: http://www.capebretonliving.com/webcam/ or simply clicking on the Cape Breton webcams link on the Menu Bar above.